Taking care of the infants and children with cleft lip and palate and other congenital anomalies is one of Dr. Totonchi’s passions and he seeks to improve the lives of these children by providing surgical and medical treatment for these conditions. 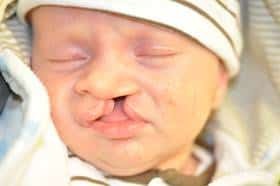 A cleft lip and palate are oral and facial malformations that occur during the early stages of pregnancy. A cleft lip and palate happens when there is insufficient tissue in the lip and mouth area due to lack of proper fusion in early pregnancy. Patients with cleft lip have a physical separation or a split between the two sides of the upper lip. The cleft lip appears as a gap or a narrow opening in the patient’s skin in the upper lip. There are cases when this sometimes extends to the base of the nose and may include the bones in the upper jaw or gum. A cleft palate, on the other hand, appears as an opening or a visible split in the roof of the mouth of our patients. Patients with cleft palate can have both the hard palate and the soft palate affected by the condition. 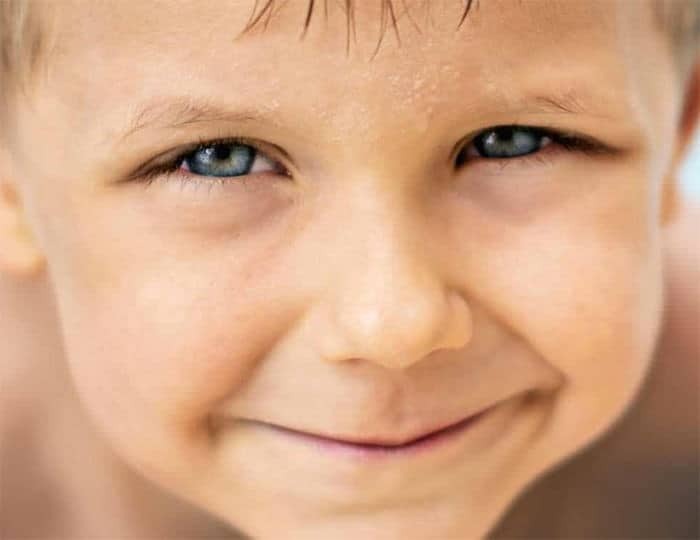 Cleveland Plastic Surgeon Dr. Ali Totonchi advises the patients and parents of patients that the cause of a cleft lip and palate are still unknown and the occurrence of the condition cannot be prevented for the most part. The appearance of cleft lip and palate in patients can be caused by numerous factors some of which can be genetic or caused by environmental elements. Studies for cleft lip and palate have shown that the chances of a child to be born with this condition increases if the child has a sibling, a parent, or even a relative that has a cleft lip or palate. Treatment of the patients with cleft lip and palate requires comprehensive team care. Diagnosis and treatment starts with a prenatal diagnosis and counseling of the parents. This is followed by immediate postpartum care of the baby and then step wise and staged treatment of the condition. Dr. Ali Totonchi is medical director of the multispecialty “Craniofacial Deformity Clinic” in MetroHealth Medical center in Cleveland Ohio, which treats the infants and children with cleft lip and palate and other congenital anomalies. Our team consists of a pediatric plastic surgeon, pediatrician, ENT, oral surgery, pediatric neurosurgery, pediatric anesthesiologist, audiologist, speech pathologist, pediatric dentistry, geneticist and orthodontists. Patients are seen on a regular basis in our multidisciplinary clinic. Their development is monitored in addition to having response to treatment measured and proper the decisions are made during these visits. Patients who require cleft lip and palate repair may need to undergo several procedures before the repair is completed. Dr. Totonchi’s “treatment time line form” link can be found in this page and “form” page. A cleft lip repair can be done when an infant is about three months old. Some infants may benefit from bringing the segments closer to each other prior to surgery by nasoalveolar molding. The repair will involve closing the gap created by the cleft using flaps from the child’s lip. A cleft palate repair is usually done at the age of 11-12 months of age; if patient has a gum line cleft it can be repaired at the age of 9-10 years of age by local flaps and bone grafting. Some patients may require a few additional surgeries to improve speech quality or closure shape. Our MetroHealth Medical center craniofacial surgery team follows the patient to 18-21 years of age, to ensure the patients to get the best care. Cleft lip and cleft palate treatment is a very long process that requires the cooperation of the surgeon, the parent, and the patient to make it a success. Give us a call today at (216) 778-2262 for more information about cleft lip and palate in Cleveland, OH or click here to shcedule an appointment.